A little too late, or it's never too late? BOC Smartsaver has been around for some time now. I've heard of it when their promo came out, but kept to my OCBC 360 account. I did my sums previously and concluded that it was best for me to keep my money at OCBC. But I redid my sums recently after my brother reminded me about this account, and, DANG, the minimum interest rate I could get was at least a 2% VS OCBC's 1.7% with salary crediting and bills payment. What's making it more attractive is that, since I'm now able to spend $500/mth for my bro's expenses, the interest rate I could receive every month has now reached to the eye-popping 3.55% interest p.a! Why didn't I think of opening this account soon ah? The following day after I did my sums, I headed down to the BOC branch and opened my account. I was lucky to be the first to enter at the off-peak hours. Btw, thumbs up to the friendly staff at the Westgate outlet. My account was set up on the spot. It helps that my HR has also been very efficient. Immediately upon my request, they registered my BOC Smartsaver account as my salary crediting account. 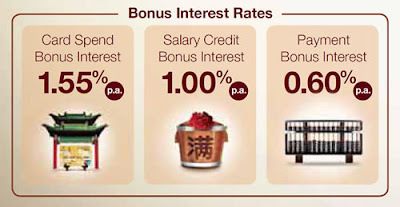 I'm waiting for my Aug's pay to be credited here, earning myself a 1% interest. While this is lower than the 1.2% which OCBC offers, BOC offers a base interest of 0.4% if you have $50k and above balance vs the 0.05% base which OCBC gives. Effectively, I'm earning 1.4% if I only do salary crediting while maintaining $60k in BOC VS 1.25% in OCBC. Next, I'll also be using BOC to pay for my CC bills to earn me 0.6% or to get the 1.55% for card spend. It's now sayonara to OCBC 360 as my main account, although I will try to maintain $3k there to avoid fall-below fees. Regardless, BOC's interest is too attractive for me to say NO. I talked about jumping the ship if a better savings account comes along, and here it is! Just praying that BOC won't review their interest rates downwards! interesting, i did hear some chatter about this. but never really delve too much into it..
-Earn 1.55% p.a. when you spend at least S$500 across your BOC Credit Cards and/or Debit Cards. -Earn 0.60% p.a. when you transact 3 bill payments or 1 BOC Mortgage Repayment from your BOC MCS Account. can I check with you, for this account, is there cheque book issued? if no cheque book, how are you going to transfer $60k should there is a new better ship that needs to be jumped? I thought I can easily issue cheque from ocbc 360 account to BOC smartsaver. But the thought of BOC smartsaver to the next new ship seems to be a problem? How about the BOC credit card? 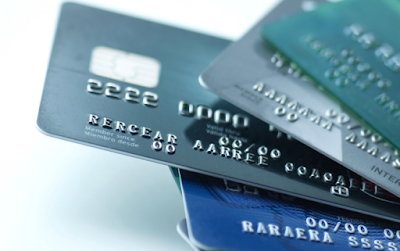 Did you take any credit card from BOC? Just wondering if they have any waiver of credit card fee? Cos I saw it is only free for the first year. As for the BOC credit card, I signed up for a BOC family rebate card. Not sure if there will be a waiver since I've not reached the 1 year. But if they charge despite my request to waive it, then I'll just cancel it. Hi Ken, OCBC is way better in terms of their ibanking portal. If you want more bangs for your bucks, go ahead with BOC!